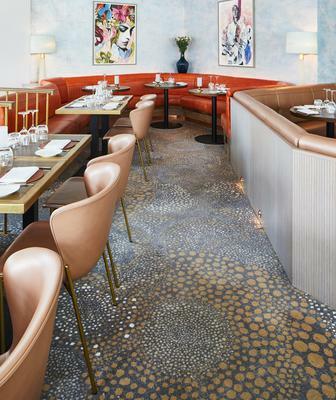 Luxury restaurant group D&D London commissioned Brintons to design bespoke carpets for its nordic-inspired restaurant, Aster. Brintons created approximately 116sqm of the custom circular repeat pattern for the space, which is located in central London. 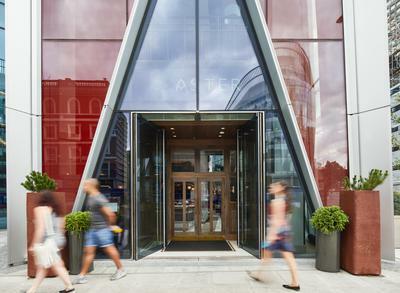 Aster is positioned in the emerging dining destination Nova Food, situated by London’s Victoria train station. 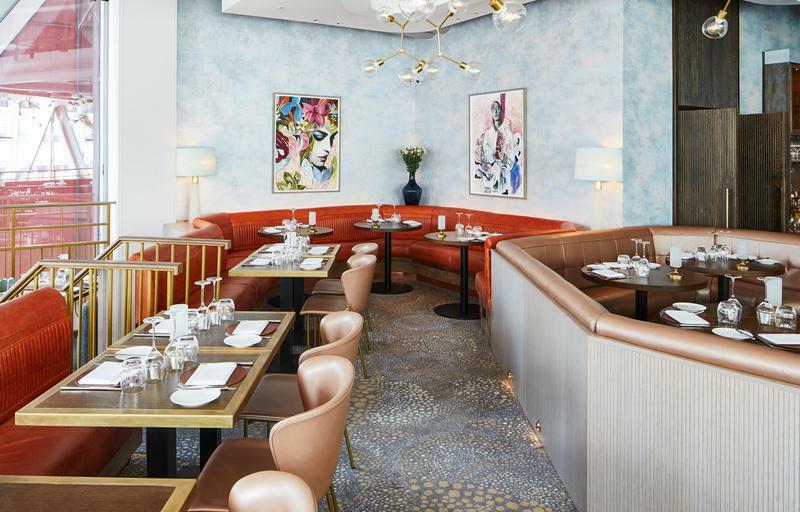 Brintons worked alongside Russell Sage Studio to create an inviting and luxurious atmosphere within the space in this up and coming restaurant district. 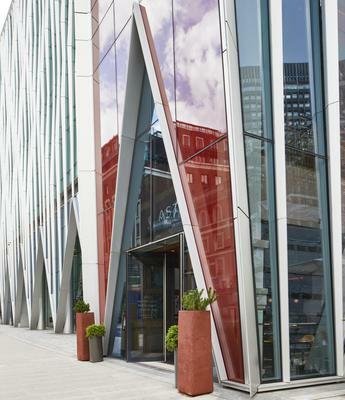 Brintons supplied carpet for the first floor restaurant and cocktail bar, which includes luxury private dining areas. 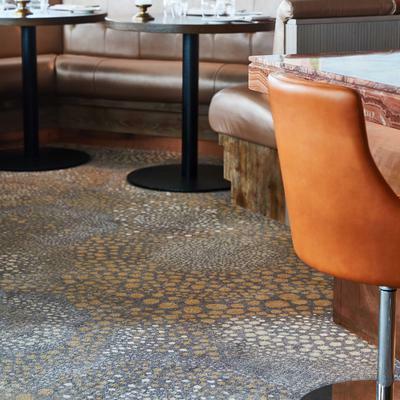 The carpet has a repetitive dotted pattern, using muted hues to complement the warmth of the restaurant’s key interior features. Brintons chose a natural, circular motif, evocative of nature, in order to establish a link between Nordic cuisine and the natural environment. This creates a harmony between the restaurant’s décor and its concept of Aster (the flower) and Aster Nova (the star). Manufactured using our signature axminster blend of 80% wool 20% nylon to provide a durable and stylish carpet that will withstand footfall over a prolonged period of time. Brintons’ carpets contribute to the intimate and welcoming ambience that Russell Sage Studio aimed to create. 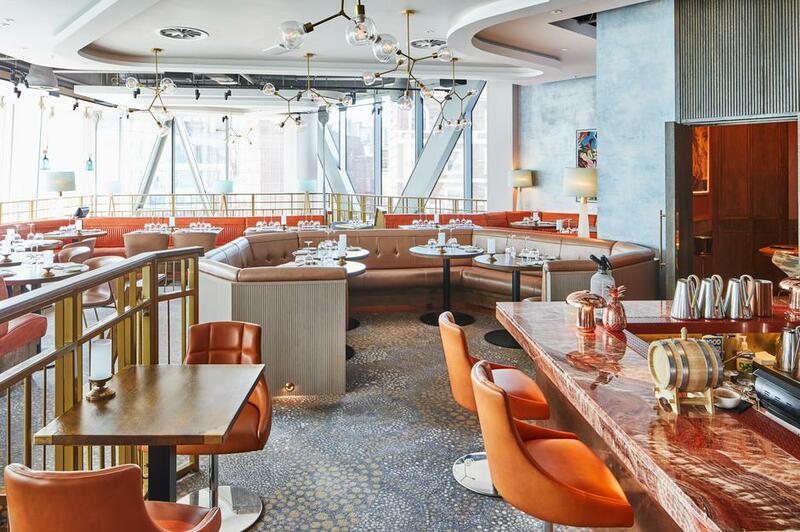 The recently refurbished cafe, deli, restaurant and bar spreads across two floors, serving a range traditional Nordic delicacies.The kitchen is overseen by Executive Chef Helena Puolakka, who has created a menu that combines her classical French training with her Finnish heritage.